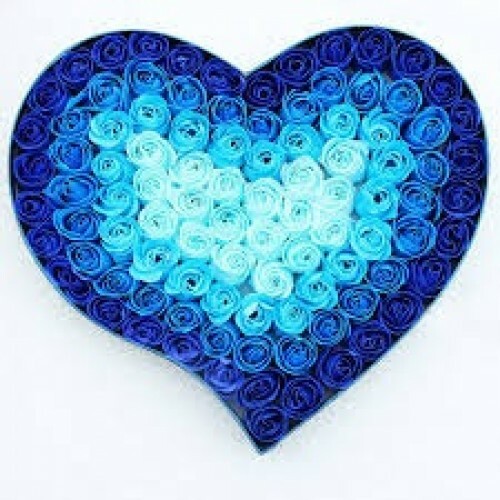 An XL Heart Shaped arrangement consisting of about 100 mixed Blue And Turquoise Roses. Starting with dark blue roses on the outside it works its way through in different shades to white roses in the middle. White, Turquoise and Blue Roses used.